There are a few happenings to report in the week before the clocks go back (don’t forget next Sunday 26th!). With 5 events completed we have a new leader in the club league – Allen Barnes – but there is lots of scope for catching him up. This week’s results from Midgley Moor will be up soon. Some of the Claro contingent that went to Scotland for Race the Castles were spotted by Wendy’s usual splendid efforts with the camera – here and there are a few new Claro photos too. Details for the next two Claro events are now up – our Hookstone night event that is part of the YHOA Night League, which is local and an ideal chance to try a night event if you have not done so, and Dob Park on 7 Dec, which is part of the club league (obviously). Finally, don’t forget the AGM this Thursday. 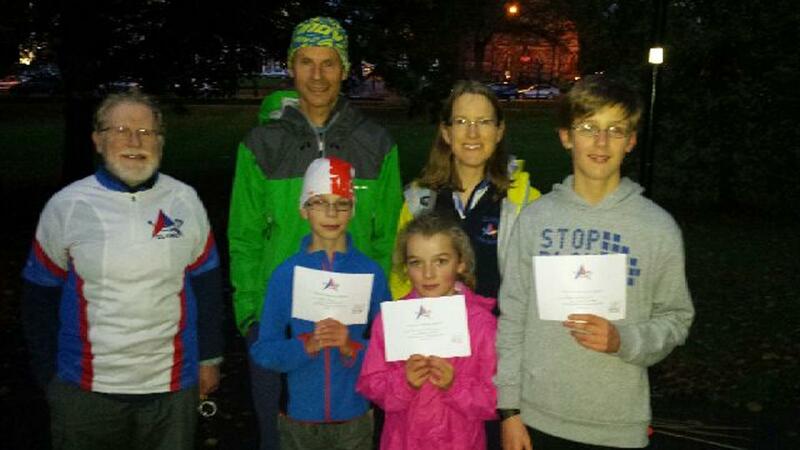 The successful series of junior training events concluded this week as the light evenings draw to a close. They were well attended and we hope that not only did the participants enjoy themselves, but also that they will go on to enjoy the sport in the future, perhaps even as club members. Thanks to Phil, Jemima and Richard for organising. If you (or your mum or dad) want to have a go, there are plenty of local events in the calendar, and always people on hand to help those that need it – all you have to do is ask!